On Saturday, June 22 I took a trek out to the brand new Monster Kolor shop in Middleboro, Mass for one heck of a good time. 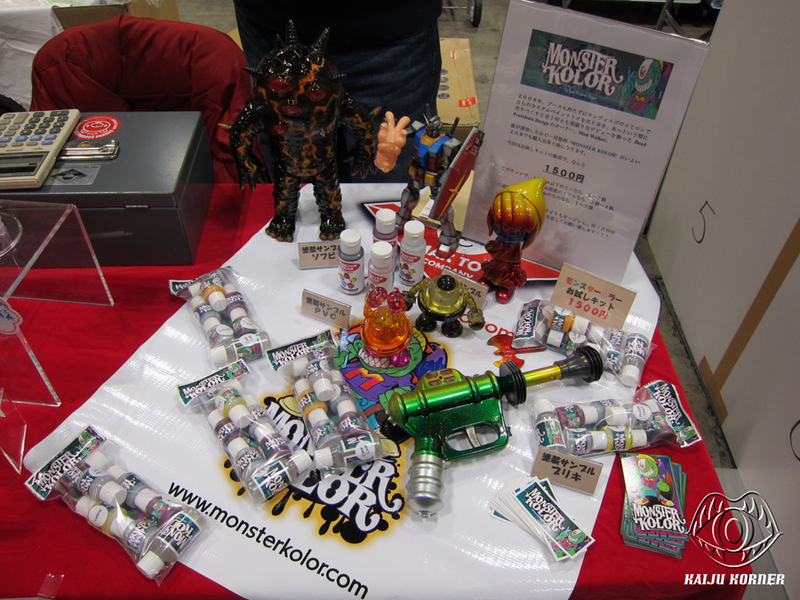 I attended the ‘Paint your own TriPus’ event, hosted by Monster Kolor with blank TriPus figures supplied by Max Toy Co. The attendees ranged in skill from the talented and always fun Todd Robertson and Will Long to people who had never used an airbrush before. 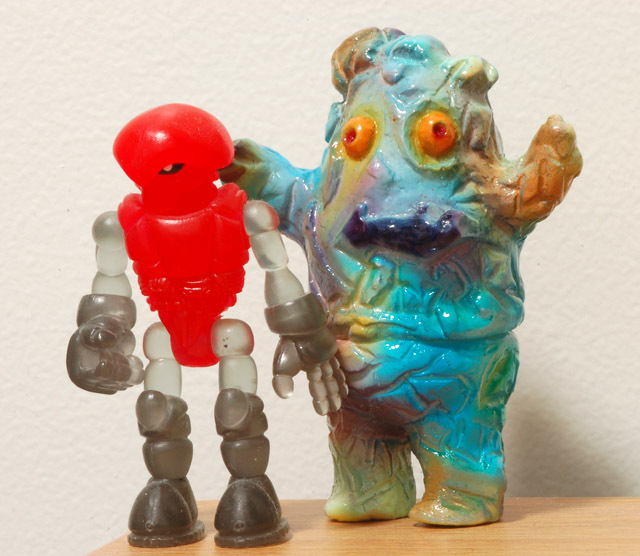 The weather was perfect for a bunch of toy heads to hang out in a back alley and shoot paint. Benny Kline of Tenacious Toys was nice enough to photograph the whole even and post a huge gallery of photos from the day. I spent the drive to Massachusetts planning the paint job for my TriPus. I wanted to something with deep blue tones and a fade on the bottom to give the appearance of a monster emerging from the ocean, all realistically colored and detailed up top. Walker had a few special paints and surprises out for people to try, so I was able to stick to my plan while trying out a few sharp new colors. Click through for nice big, tasty photos of some shiny green TriPus action! The whole figure was painted on Saturday with whatever tools and colors were on hand, and served as a great warm up refresher piece while I work on unpacking my studio into my new apartment. 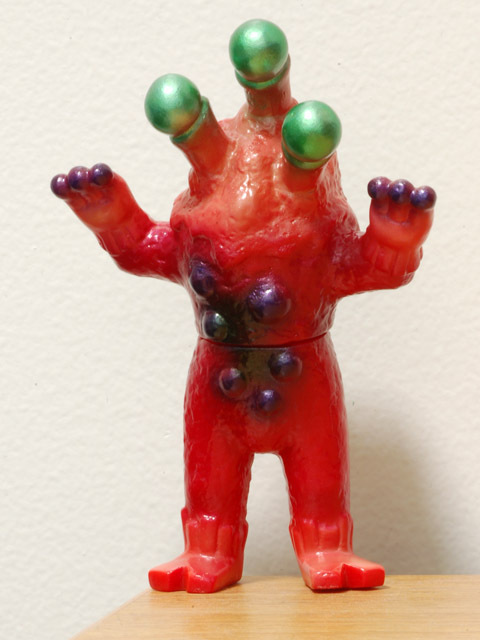 …this mini Argus on red vinyl. I slathered it with pink peal, and then tried out the MK rattle can matte finish, which gave it a great finish. 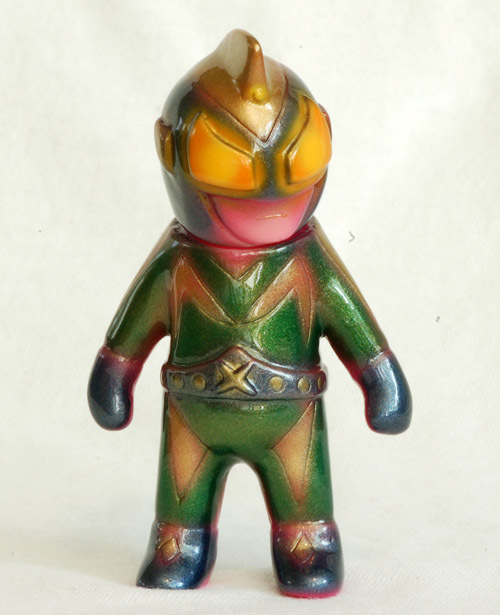 I also picked up this awesome little resin by Dustin Nakagawa, named Gamusa. 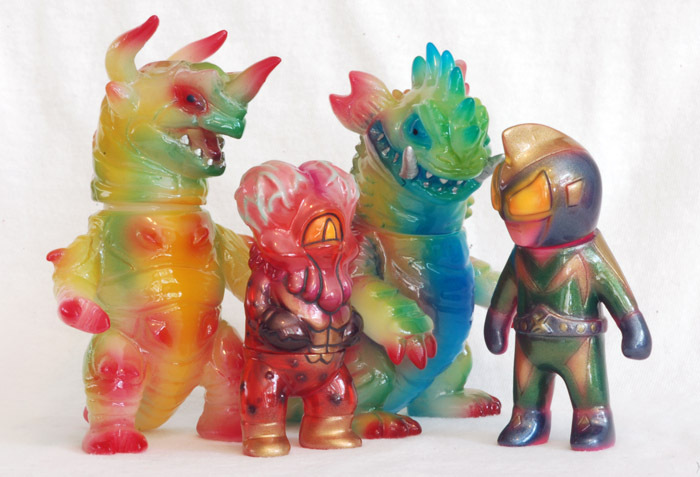 He’s clearly inspired by Zollmen’s Zudon, but has some differences that make him stand out, and is a perfectly sized and shaped little resin buddy. I also worked on a blank Gamusa that I will post up when I finish. Another shot of Gamusa. The loose sprays work really well on the rough sculpt, and manage to highlight the details really well. 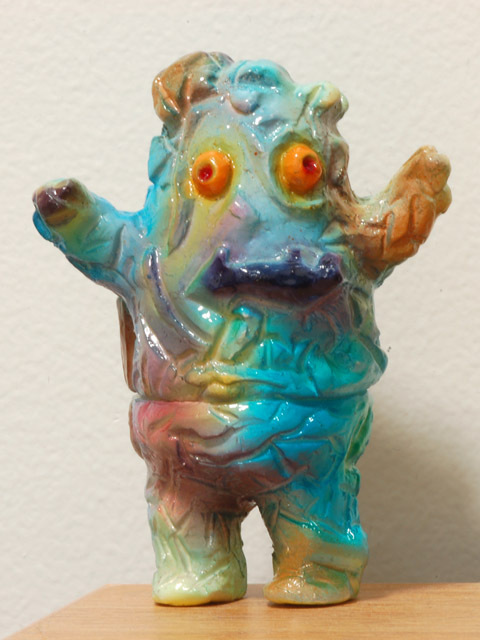 I should also mention that this guy has a great heft to him, and seems to be cast from a really nice resin. UPDATE: Looks like my Argus has sold! Thanks for all your continued support. 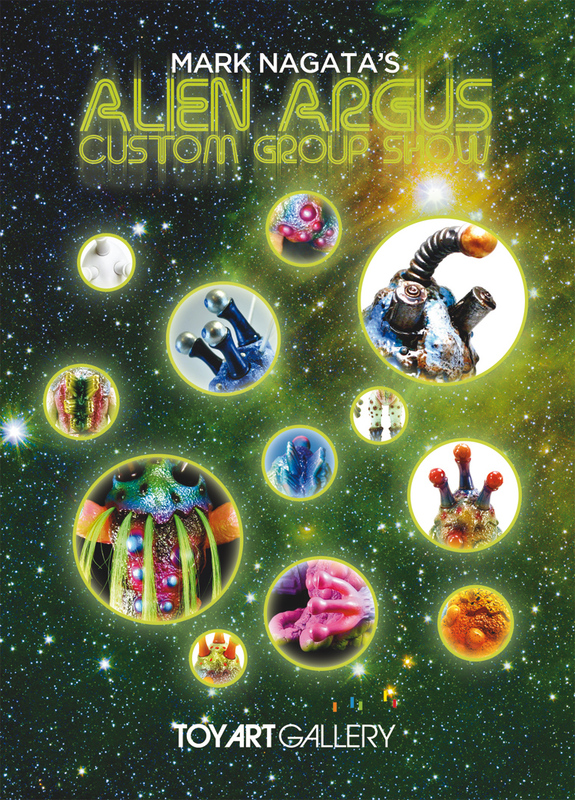 TAG posted this preview of the Alien Argus show postcard on their Twitter! I am sooo excited to see this show open, and wish I could be there myself. 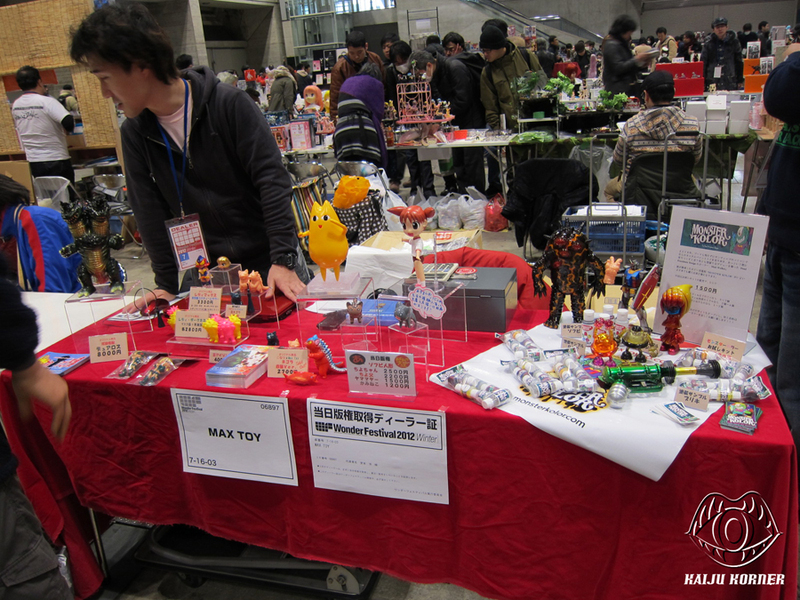 See if you can spot my figure on the card (twice!). Update: Remember the show opens tomorrow night!